Fastlane® - A fully-adjustable, quality swim current for any pool. For far too many people exercising in a backyard pool means six strokes and a flip turn, over and over and over and over. The Fastlane produces a smooth, quiet, powerful current that's perfect for any backyard pool. Set the water speed to the pace YOU want, and swim at home. Where does the Fastlane install on your pool? a remotely located Hydraulic Power Unit that powers the swim current and the Swim Unit that mounts poolside. These components are connected by two hydraulic hoses designed to keep electricity far away from the water. The poolside Swim Unit includes a submerged hydraulic motor that turns our custom-designed 16" propeller and an innovative channeling system that straightens and smooths the swim current. 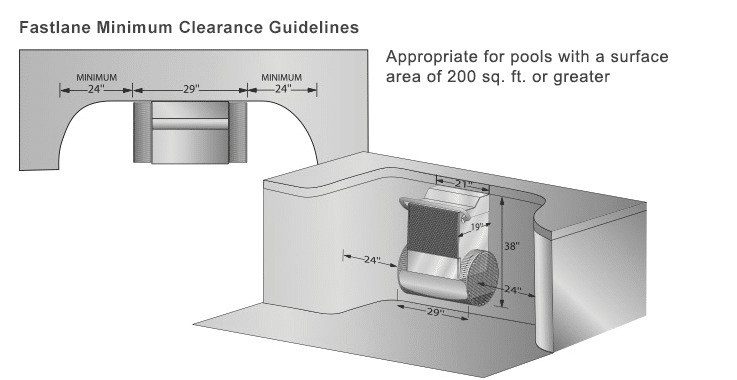 The Fastlane can be installed in virtually any new or existing in-ground concrete, gunite, masonry, vinyl-lined or fiberglass pool, and in many above-ground pools as well. 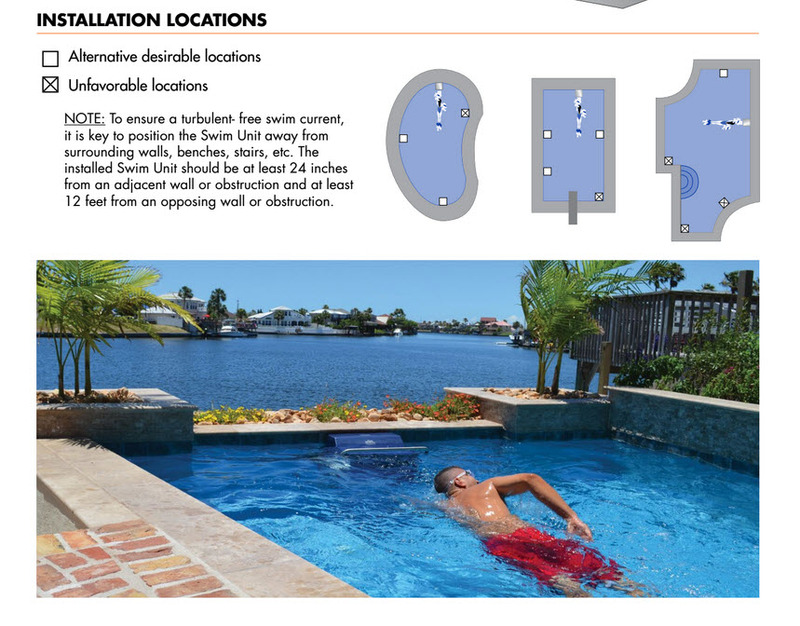 The Swim Unit can be placed in water as shallow as 35". Generally speaking, if the pool is deep enough for swimming, it's deep enough for a Fastlane. Learning to use your Fastlane takes only seconds. Turn the Fastlane on by pressing the On/Off button on your remote control. Faster and Slower buttons allow you to set the water speed at a comfortable level for your needs. Swim World Pools is a proud Endless Pool dealer serving Tennessee.